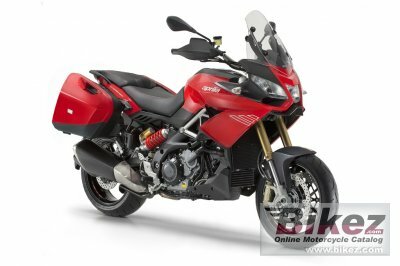 2018 Aprilia Caponord 1200 Travel Pack. Picture credits - Aprilia. Submit more pictures. Thanks V4-MP, Aprilia has fine tuned a further development of this fascinating system so that communication between the bike and smartphone now becomes active: from your smartphone you can change the settings on your RSV4, as well as receive tips in real time on how to improve your performance on the track in complete safety. Front suspension: �43 mm upside - down Sachs fully adjustable, with aDD (aprilia Dynamic Damping) electronic damping management. Rear suspension: Aluminium alloy swingarm. Hydraulic Sachs dynamic monoshock absorber, with aDD (aprilia Dynamic Damping) spring pre - load and damping erlectronic management. Ask questions Join the 18 Aprilia Caponord 1200 Travel Pack discussion group or the general Aprilia discussion group. Bikez has discussion forums for every bike. View comments, questions and answers at the 2018 Aprilia Caponord 1200 Travel Pack discussion group. You can sign up for e-mail notifications when other riders answer you. If you have extensive experience with the MC, please send us a review. If you consider buying this bike, you should view the list of related motorbikes Look at photos. Compare technical specs. And check out the rating of the bike's engine performance, reliability, repair costs, etc. You can compare the rating with other bikes.